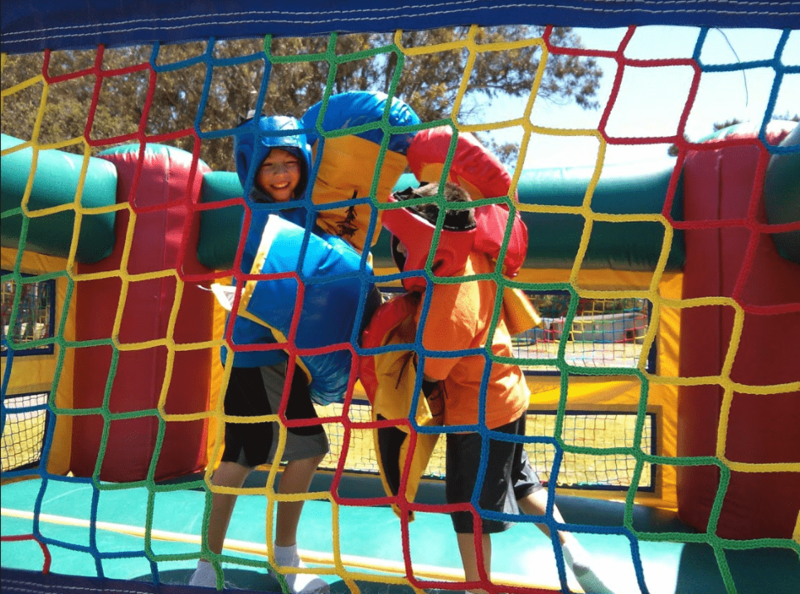 Boxing Ring Jumper Rentals, Inflatables, Jolly Jumper, Jumpers, Bouncy Castle, Bounce Houses, Brinca Brinca and Inflatable Bouncer | Santa Barbara, Goleta & Montecito. The inflatable is an air filled trampoline space with wall enclosures. The Boxing Ring is multicolored with an open top. Inflatables offer incredible fun for your party, and the open top filters light so you can watch the fun. To provide a safe environment for your guests an adult should manage the entrance. Therefore, in addition to the rules posted on the unit, we recommend all children entering at once are the same height and size. To install this unit, simply find a semi flat, open grass or concrete area with access to power (or generator). 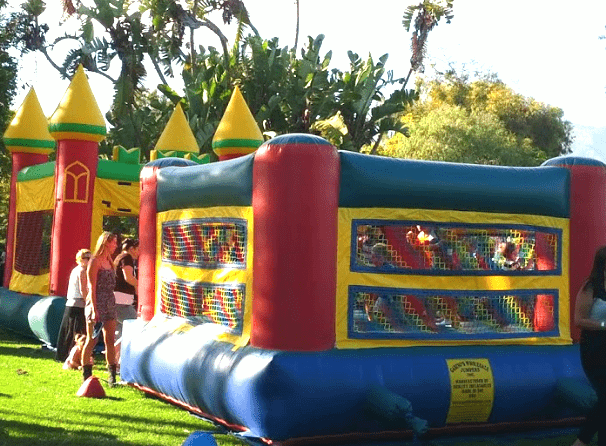 We rent all jumpers as an add on item to a larger party rental order or in a package; corporate events, UCSB events, birthdays, and family fun. As an alternative rental idea, check out our “under-tree-safe” European Style Jumper here.